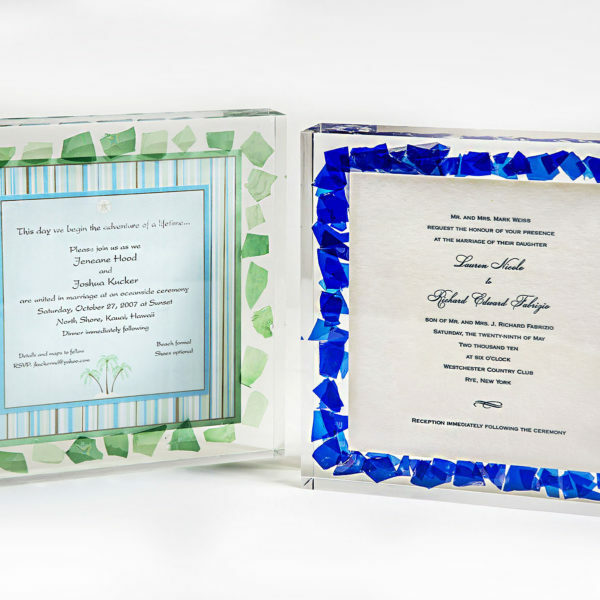 The Wedding Lucite Invitation, makes a beautiful, one-of-a-kind keepsake and instant heirloom for the bride and groom, one to be treasured all their lives as a memory of their special day. 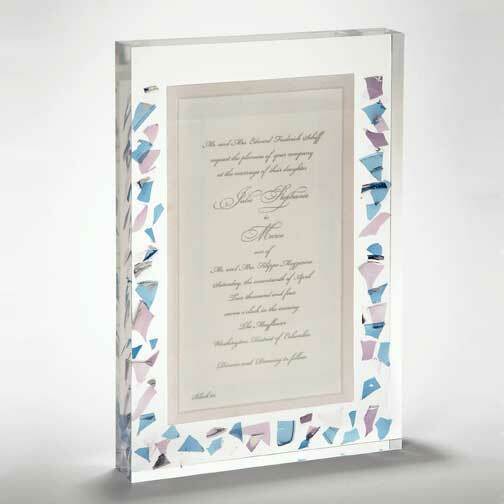 The Glass is inserted randomly around the perimeter of the invitation resulting in a one-of-a-kind keepsake. 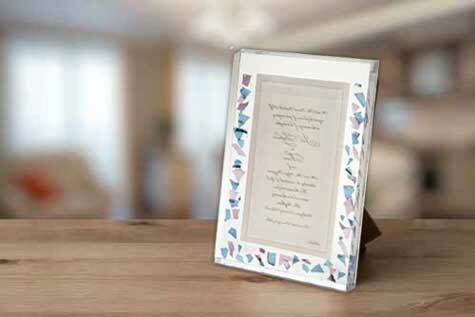 The sizing is flexible to accommodate invitations as large as 5″ x 7″ or 12.5cm x 17.8cm. When submitting your invitation (with or without broken glass), we request an additional invitation if possible. Please be sure to place the invitations in between 2 oversized pieces of cardboard when mailing. Larger invitations may incur an additional cost.